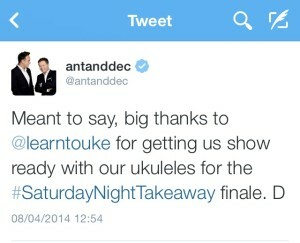 Did you see Ant and Dec’s Saturday Night Takeaway on Saturday? 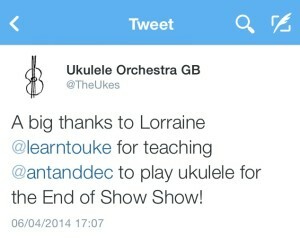 They joined The Ukulele Orchestra of Great Britain and Robbie Williams with a medley of songs. 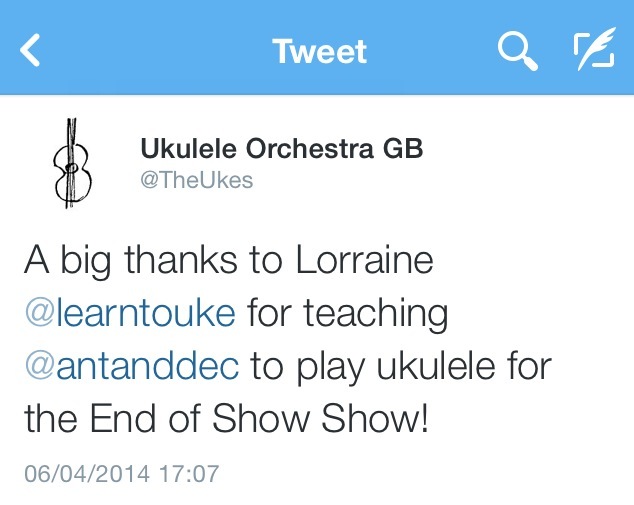 That would be me! Want to learn to play yourself? Book yourself onto one of our courses!